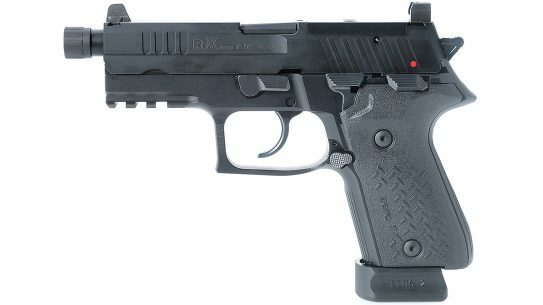 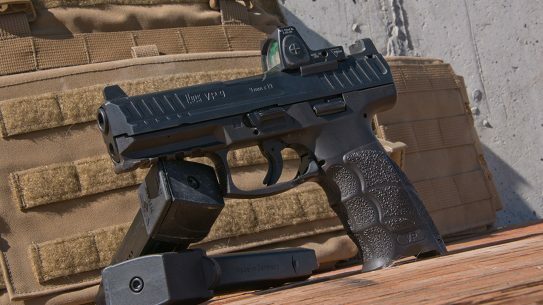 Gun Review: Does the SIG P320 M17 Pistol Live Up to the Army Hype? 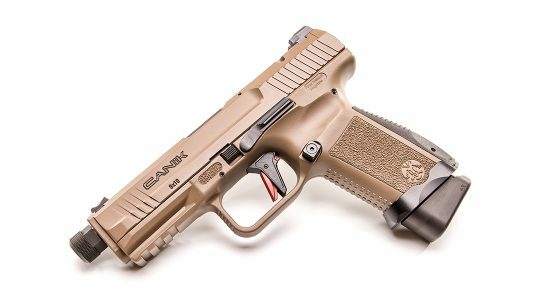 Developed in collaboration with Salient Arms, the feature-rich 9mm TP9 Elite Combat is based on the Canik TP9SF Elite pistol. 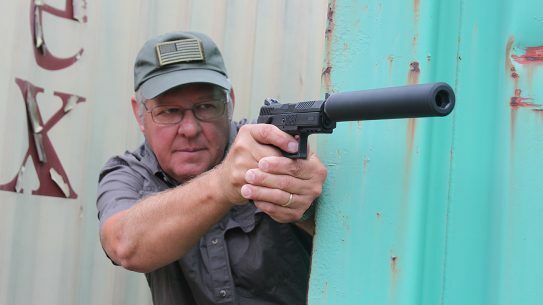 The revolutionary 7.63x25mm Mauser C96 pistol, which was never officially adopted by a nation's military, heralded the era of the autoloader. 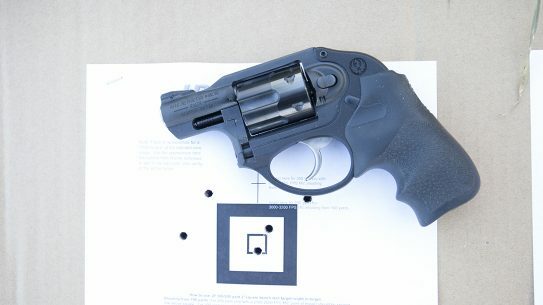 The ultra-compact Ruger LCR revolver in .327 Federal Magnum steps up to pack more punch for concealed carry and duty gun backup. 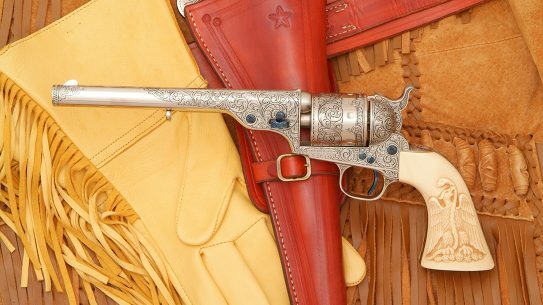 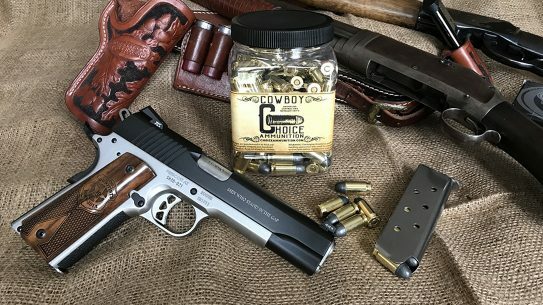 If you are into Cowboy Action Shooting, practice sessions with this head-turning Umarex Colt Peacemaker Nickel & Gold is time well spent. 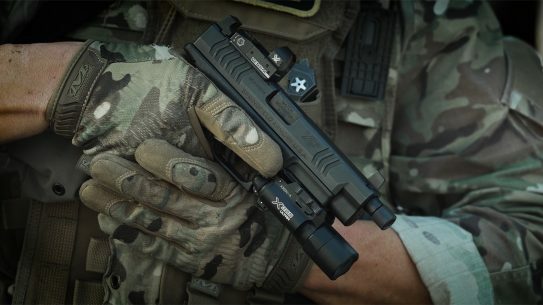 These accessories from Ashbury Precision Ordnance, NSR Tactical and XTech Tactical turn this HK VP9 into a workhorse that can handle anything you might need a pistol for. 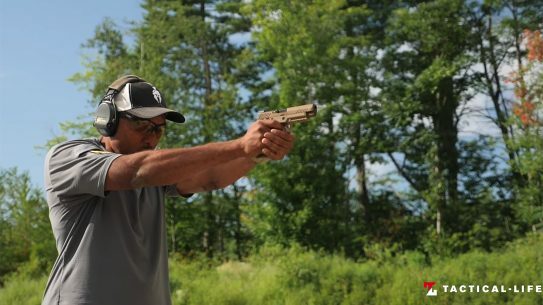 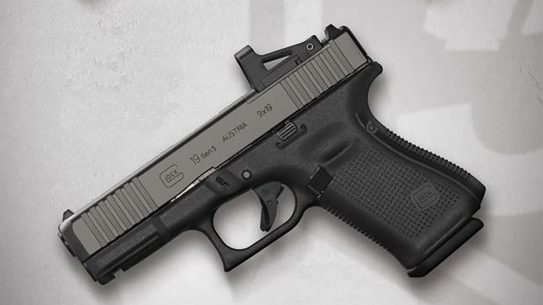 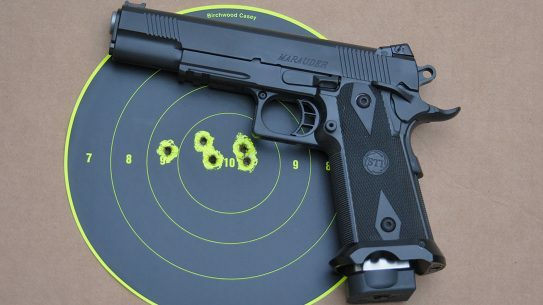 Match-winning ergonomics and speed in a package that holds 20+1 rounds, the 9mm STI Marauder pistol is fun, fast and accurate. 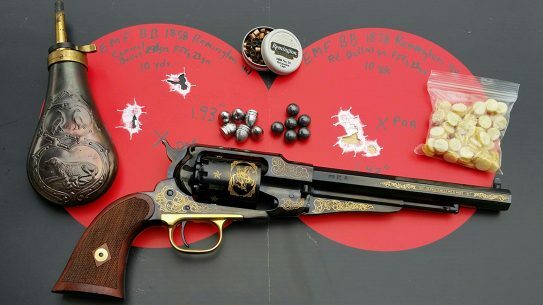 Taking out the EMF 1858 Buffalo Bill Commemorative—a Pietta-made Remington Model 1858 replica to commemorate Buffalo Bill—for a test out on the range. 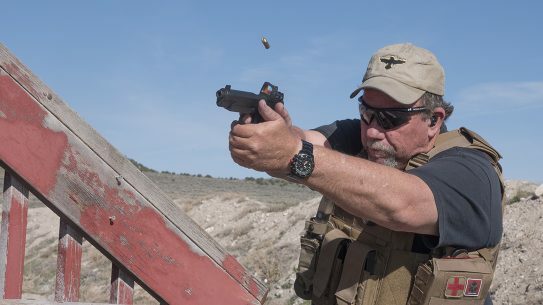 Croatia's PHP MV pistols led to modern, combat-worthy firearms that appeal to all shooters, even those here in America in the form of the Springfield XD. 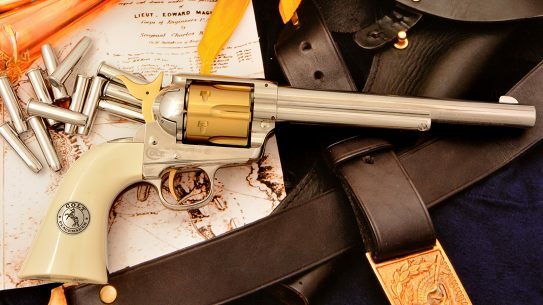 Take a trip down memory lane with us as we look back on Colt’s first cartridge-firing six-shooter: the Colt Open Top.